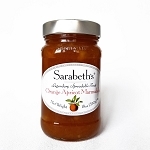 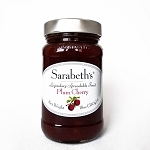 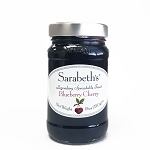 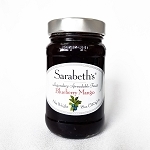 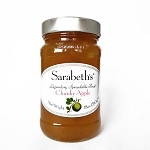 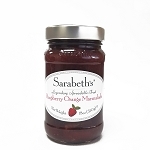 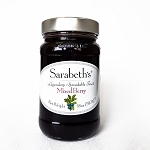 Each batch of Sarabeth’s award-winning legendary fruit spreads are watched carefully throughout the cooking process. The fruits are hand-cut to avoid bruising and to preserve their natural flavor and texture. 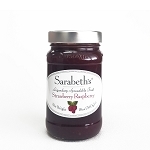 They are slowly simmered in small batches and allowed to thicken without the use of pectin, until they reach their peak of flavor. Over the years, Sarabeth has meticulously developed a number of delicious flavors in her Spreadable Fruit line, using only the finest of ingredients. 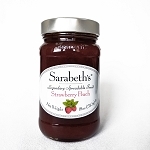 These spreadables are unique because each flavor combines two to three fruits. They are all natural, less sweet and lower in calories per serving than ordinary preserves. All jars contain a generous 18oz. weight of product.